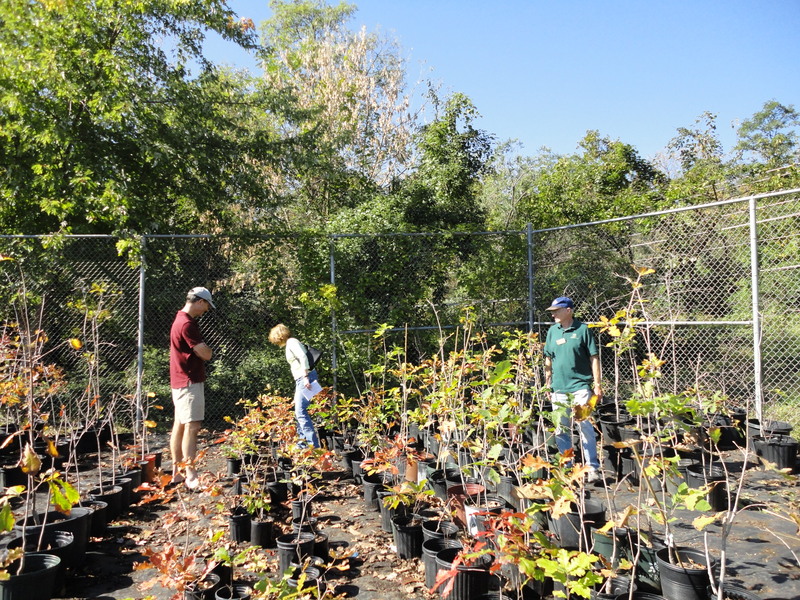 Choose the best native tree for your Arlington yard with the help of TreeStewards this fall. Arlington County’s Natural Resources Division is providing a variety of native tree species and one would be perfect for your yard. Among the different species offered this year are Eastern redbud, Sweetbay magnolia, American holly, Flowering dogwood, Persimmon, Alegheny serviceberry, Smooth alder, Chestnut oak and Post oak. All trees not picked up by 3 PM on Saturday October 24th are open to adoption — over 100 were still available last year! So if your favorite is SOLD OUT, drop by at 3PM and see if one is available. The trees being distributed are generally termed “whips” in the nursery trade and are in two-gallon containers – you can carry them and they will fit in your car. Tree height varies with species but generally ranges between two to four feet. Because we want as many people as possible to get a tree, only one tree per household. Not sure which one is best for your yard? Are you with a condo or HOA desiring more than one tree? We can provide additional help if you contact us at info@TreeStewards.org. Then you register your selection on line at link below. You pick up the tree whip on Saturday, October 24th at the nursery on Four Mile Run behind Barcroft Recreation Center Field #6. TreeSteward volunteers will be on site providing additional information to ensure you plant and maintain your tree the best way. This year, the distribution event takes place Saturday, October 24 at the Arlington County nursery facility from 8 a.m. to 3 p.m. The nursery is located in South Arlington on South Four Mile Run, behind Barcroft Field #6. Parking is available within the parking lot in front of the ball field. All participants are asked to walk to the nursery to pick up their tree. All trees not picked up by 3 PM on Saturday October 24 the are open to adoption, so if your favorite is SOLD OUT, drop by at 3 PM and see if one is available. This entry was posted in Community Service, Education and tagged Arlington, native trees, Tree Distribution. Bookmark the permalink.